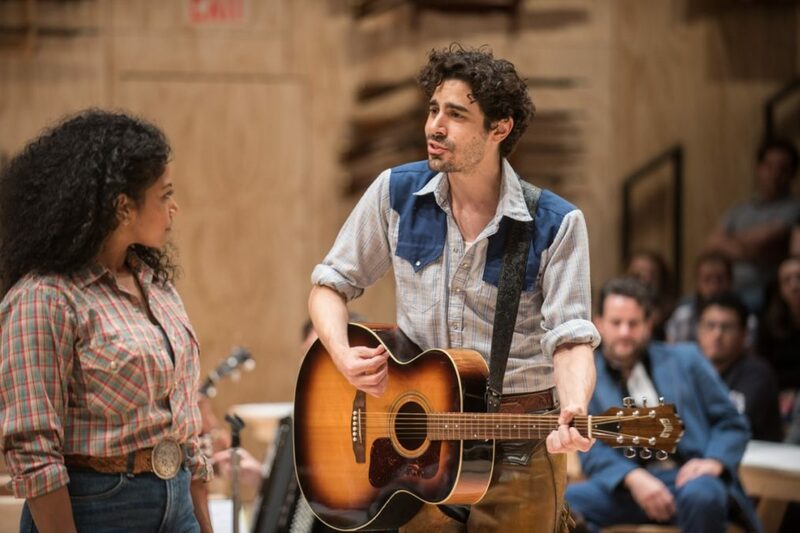 On the heels of an acclaimed production at Brooklyn's St. Ann's Warehouse, the innovative new staging of Oklahoma! from director Daniel Fish will move to Broadway's Circle in the Square Theatre in 2019. Previews will begin on March 19 with an opening night of April 7 for a limited run through September 1. The interior of the Circle in the Square will be repurposed as a community hall for the production, which coincides with the iconic Rodgers & Hammerstein musical's 75th anniversary. The intimate staging features a seven-piece band and chili served to the audience at intermission. The production was originally developed and presented at the Fisher Center for the Performing Arts at Bard College in 2015. 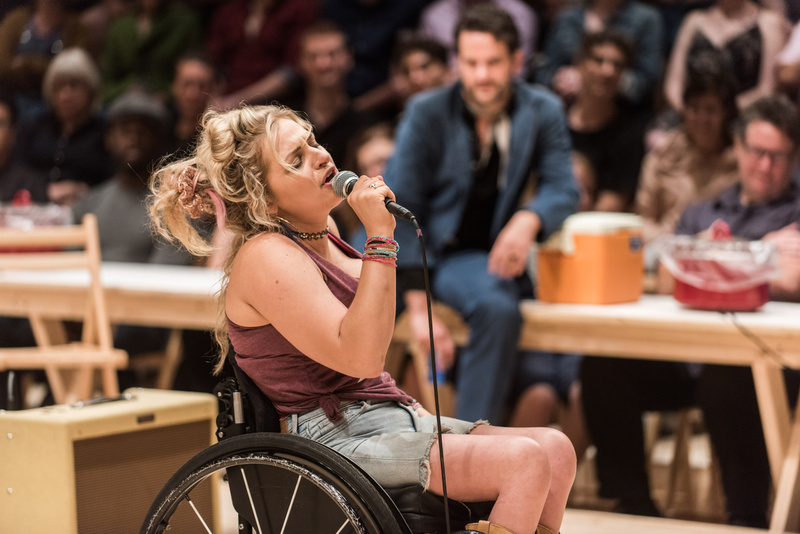 The St. Ann's production boasted a cast led by Damon Daunno as Curly, Rebecca Naomi Jones as Laurey, Patrick Vaill as Jud Fry, Ali Stroker as Ado Annie, two-time Tony nominee Mary Testa as Aunt Eller, James Patrick Davis as Will Parker, Michael Nathanson as Ali Hakim, Mitch Tebo as Andrew Carnes, Mallory Portnoy as Gertie Cummings, Anthony Cason as Cord and Will Mann as Mike. Broadway casting will be announced at a later date.